Kaldewei > Cono Duo Designer Steel Bath. No Tap Hole. 1700x750mm. 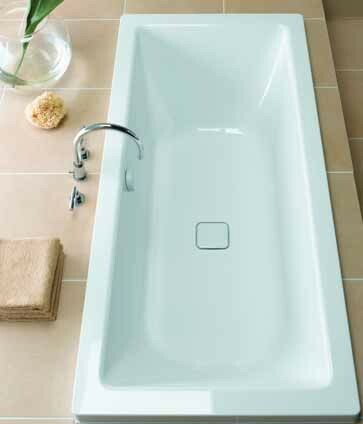 Conoduo 1700x750mm designer steel bath comes with dedicated concealed luxury bath pop up waste with enabled overflow cover and knob. This bath comes with no tap holes. Kaldewei bathroom product are manufactured in Germany from high grade steel. All Kaldewei bathroom products come with a 20 YEAR manufacturers guarantee.